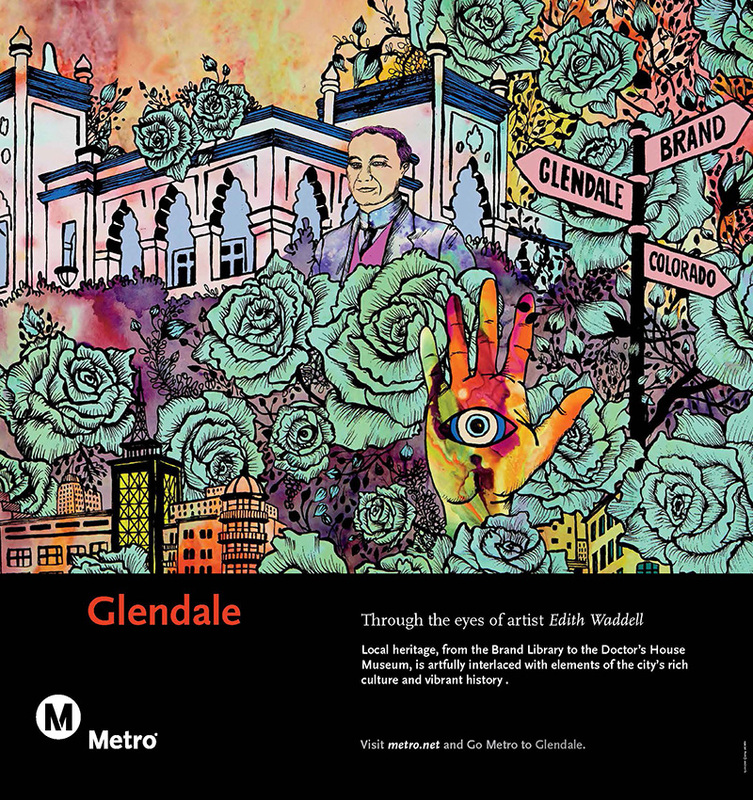 This memorable artist “impression” of the City of Glendale draws from the Brand Park’s diverse cultural venues including the Brand Library, Doctor’s House Museum, Miradero and Japanese Garden which she intertwines iconography representing the City’s rich ethnic fabric. 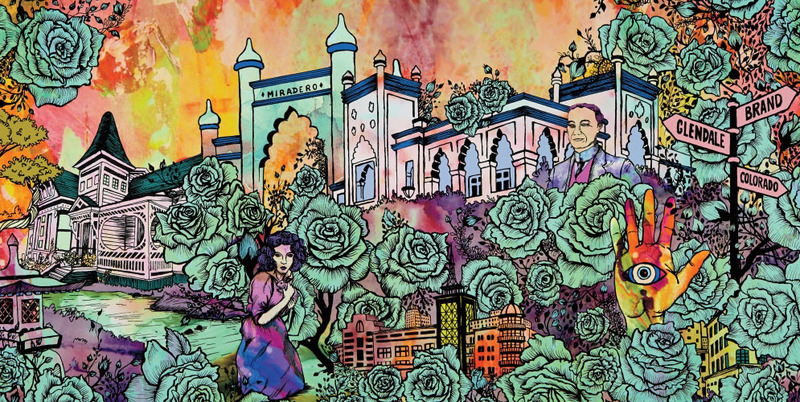 I wanted to capture city’s historical value and cultural diversity. All of these elements represent the multicultural and thriving city of Glendale is today.